CLOVER THE RABBIT: Bum, bum-bum, bum. Operation lunch rescue has begun. Target has been spotted. FARLEY THE SEAGULL: You okay, mate? CLOVER THE RABBIT: Mission not accomplished. FARLEY THE SEAGULL: Are you satisfied? Is there anyone in that ship of yours who can help us? BAILEYWICK: Sofia! There you are. 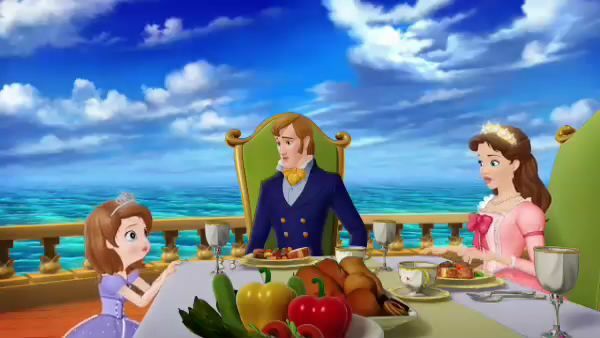 PRINCESS SOFIA: Baileywick, I need to talk to mom and dad right away. BAILEYWICK: Look who I found. PRINCESS SOFIA: Mom! Dad! QUEEN MIRANDA: Sofia! Why is your hair wet? You know you're not supposed to go swimming by yourself. 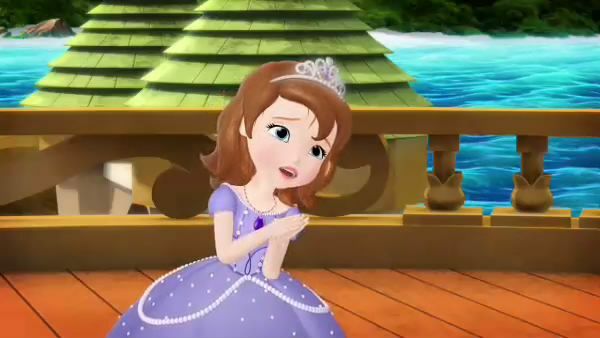 PRINCESS SOFIA: I need your help. Something terrible has happened. KING ROLAND II: What? PRINCESS SOFIA: Well, it's a long story. I met a mermaid. PRINCESS AMBER: You did? PRINCE JAMES: No way! 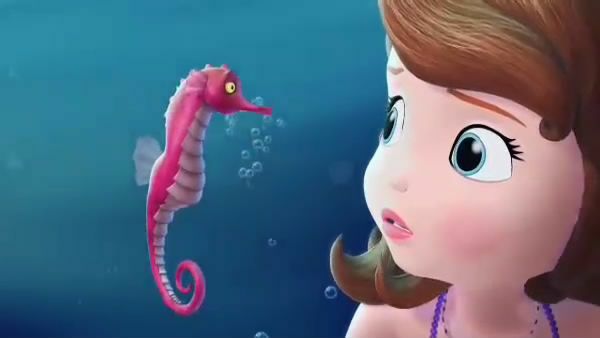 PRINCESS AMBER: Where is she? I want to see her. KING ROLAND II: Amber! Sofia's just kidding. Right? 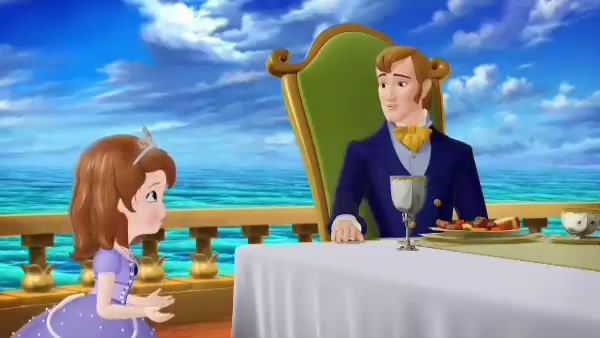 PRINCESS SOFIA: No, dad. fell asleep reading her book and dreams about all this balderdash. 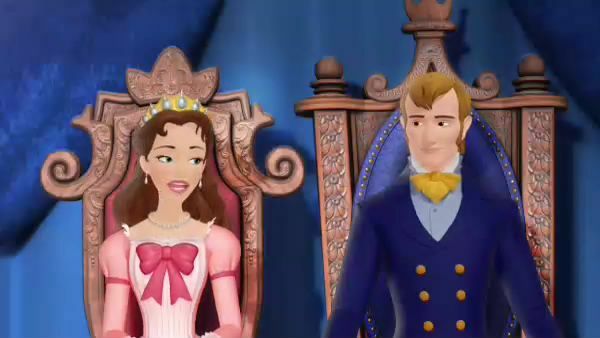 PRINCESS SOFIA: It's not balderdash. QUEEN MIRANDA: So then, can we meet one of these mermaids? PRINCESS SOFIA: Well, no. You can't. Not right now because Oona's missing and the others are too scared to come up to the surface. ADMIRAL HORNPIPE: Well, there you have it. Either she dreams it, or she's making it up. QUEEN MIRANDA: Sofia doesn't make things up. 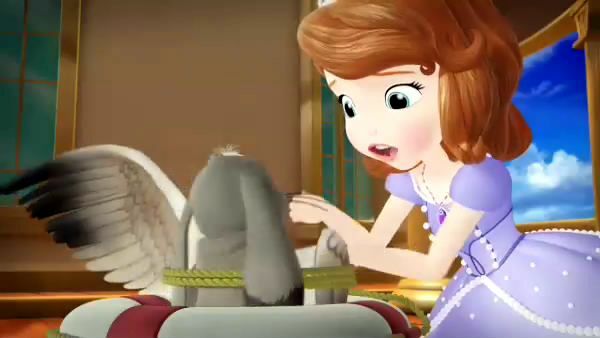 PRINCESS AMBER: She's always pretending to talk to that bunny of hers. 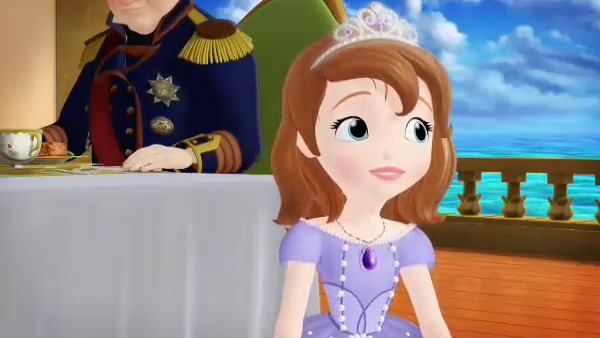 PRINCESS SOFIA: Clover. He'll help me. I gotta go. 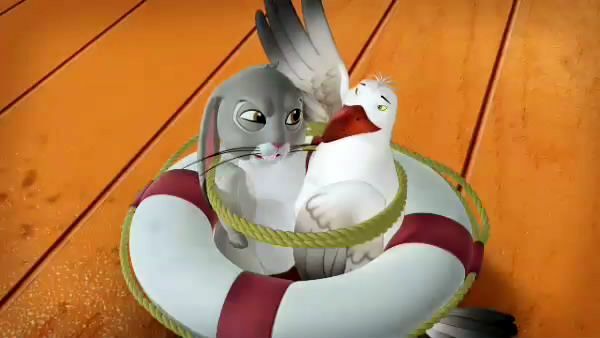 FARLEY THE SEAGULL: Still awkward! 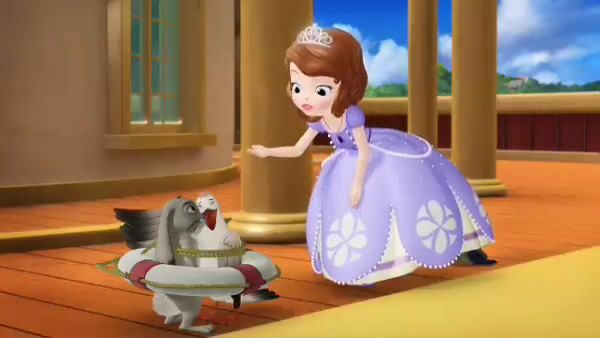 PRINCESS SOFIA: Clover, I've been looking everywhere for you. Oh. What happened? CLOVER THE RABBIT: This seagull took my lunch. FARLEY THE SEAGULL: The lunch you took from the galley. CLOVER THE RABBIT: Where else was I supposed to get it? Can you help me look for her, Clover? CLOVER THE RABBIT: Sure, kid. I'll hop up to the top of the palace. Oh, I bet you could see the whole cove from up there. FARLEY THE SEAGULL: Righto. And I'll search from the air. 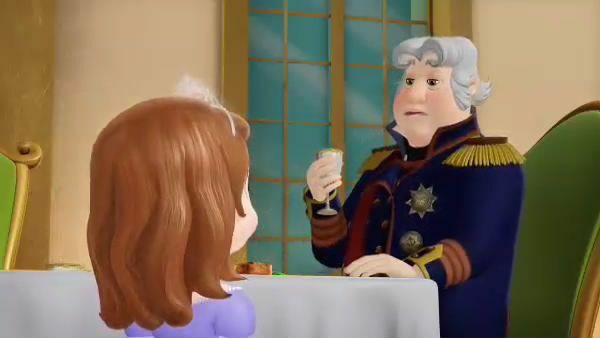 PRINCESS SOFIA: You will? Thanks, Mr. Seagull. FARLEY THE SEAGULL: But I'm Farley! PRINCESS SOFIA: Well, thanks Mr. Farley seagull. I'm going back in the water. Oh, I hope we can find her. CLOVER THE RABBIT: We will. Whew. One step down, way too many to go. PLANK: Huh? Where are they going? And where's Oona?